Bernie Sanders, and the movement he inspired, is a vessel for larger ideas: that everyone should have access to health care, a child in Pakistan shouldn’t have to be afraid to go outside on sunny days because a drone is flying overhead, that the reason why people work two minimum wage jobs to raise a family is linked to the bank you deposit your checks in, using money for bombs to instead rebuild our schools, and putting predatory bankers in jail because being white collar shouldn’t make you different from the millions we continue to incarcerate. Bernie talked about things no politicians talk about. He rearranged the philosophy of politics. 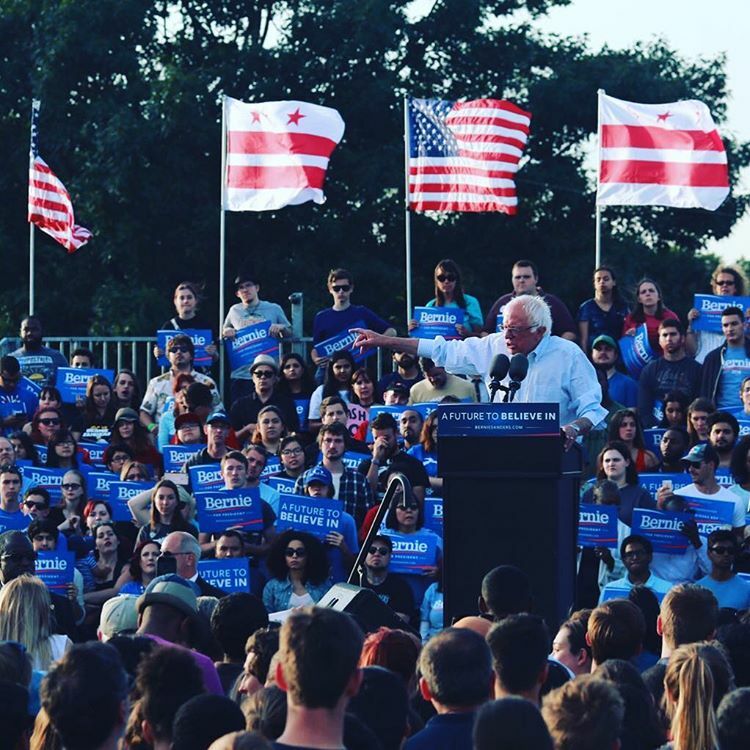 Bernie tried to change our perspective, to awaken Americans from a collective dream to see the reality that we have helped to create in our slumber: trade deals that benefit corporations but hurt domestic employment, proxy wars that are fueled by fear and greed, and a slow shift of income moving further and further away from middle America. We allowed our government to play with fire, and to a large extent many of us are feeling the Bern. From crumbling factories and poisoned water in Flint, to the educators of impoverished communities having to purchase paper for their classrooms like my own mother. Generations of college students graduate with debt that will take decades to pay off, making them slaves to the financial system simply because they were told you needed a degree to get a job. Bernie asks, is this really how it has to be? As individuals we only have so much power to change the institutions that were created before us. Politicians only have so much power that they can exercise as well. Acts of good are more subtle and difficult than choices with negative intentions. It’s harder to end a fight than to start one. This is a story as old as time. The story of mankind’s struggle to live side by side, recognizing that we not only came from the same place, but we share the same planet and the same resources. Shifting political discourse to a discussion of this nature is a powerful moment in history; it challenges the paradigms we accept and offers a glimmer of hope to change the rhetoric of politics. 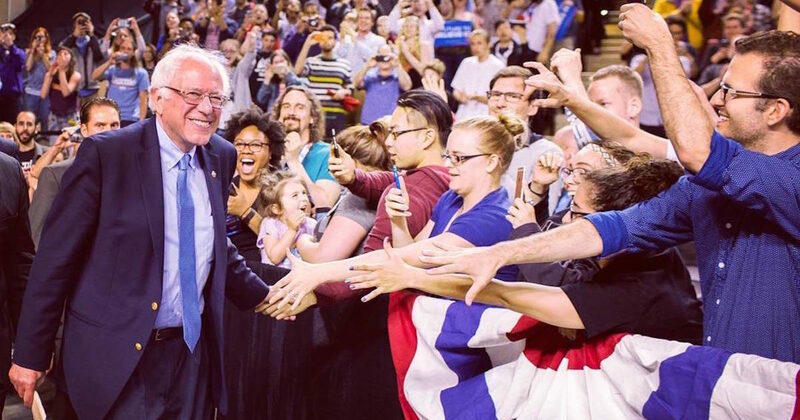 Last Tuesday was a challenging day for Bernie Sanders supporters. The speeches and the pundits claimed the revolution was over. Patronizing tones washed over me. Then President Obama endorsed Hillary. People felt the fear and began abandoning ship, demanding an exodus from the Party. It was then that I had a weird sense of déjà vu. I can smell Hillary’s dirty laundry from here as I type, and it’s easy to find if you have the Internet. History was made last Tuesday. We will probably have our first female president. History was also made by Bernie Sanders, whether you like it or not, because he’s made it further than any other Jewish politician. It’s sad that he has to dodge questions about his faith. Jews represent about two percent of the American population, a number vastly overpowered by the people who hate us. There is no political advantage by marketing his religion, and it goes against his ethos as well. It is still historic, relevant, and interesting. 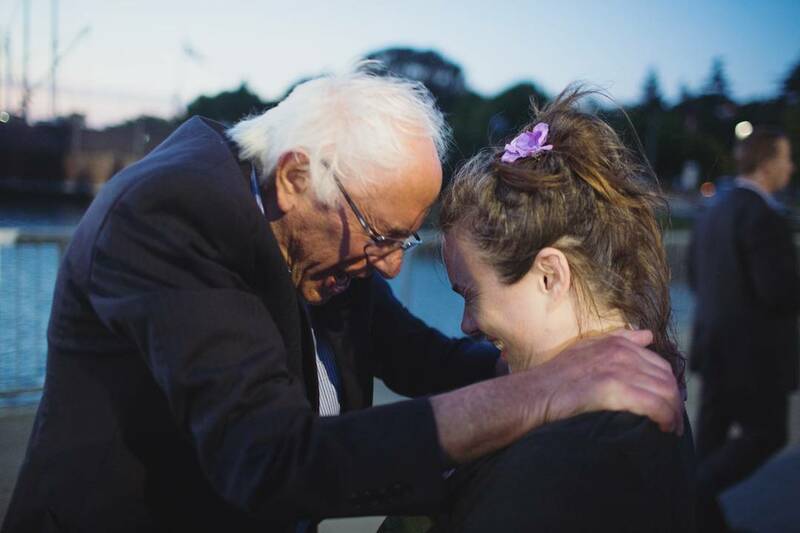 Despite downplaying his spirituality, Bernie is a living testament to every sense of ethics, morals and courage that is taught in Judaism. Many of his ideals came from his time working on a Kibbutz in Israel in his youth. After being raped and assimilated by countless empires for thousands of years, you can no longer recognize Jews by the color of our skin. We can walk into your church, we can walk into your debates, and people just might tolerate it or perhaps not even notice. Bernie shouts ancient ideas of freedom and rights for everyone. Larger forces will push a person like him down but his ideas and words are immortalized. Perhaps he was never meant to be president. Instead he ignited a spark that caught the attention of millions, the greatest triumph good has had in a very long time. If Bernie supporters quit it will split the Democratic Party and ensure a Trump presidency. Although Jill Stein says, “choosing the lesser of two evils paves the way for greater evil” there is an answer when FDR said, “The only thing we have to fear is fear itself”. There are millions of people who are Berning bright. Do not abandon the Party, because this brilliance has pulled Hillary left, and Bernie’s ideas will undoubtedly be assimilated by her campaign. Perhaps the man himself will be symbolically hung up in her cabinet as a reminder of his message. A token gesture to hold the party together. Regardless, something still doesn’t feel right, and I can’t shake this déjà vu.